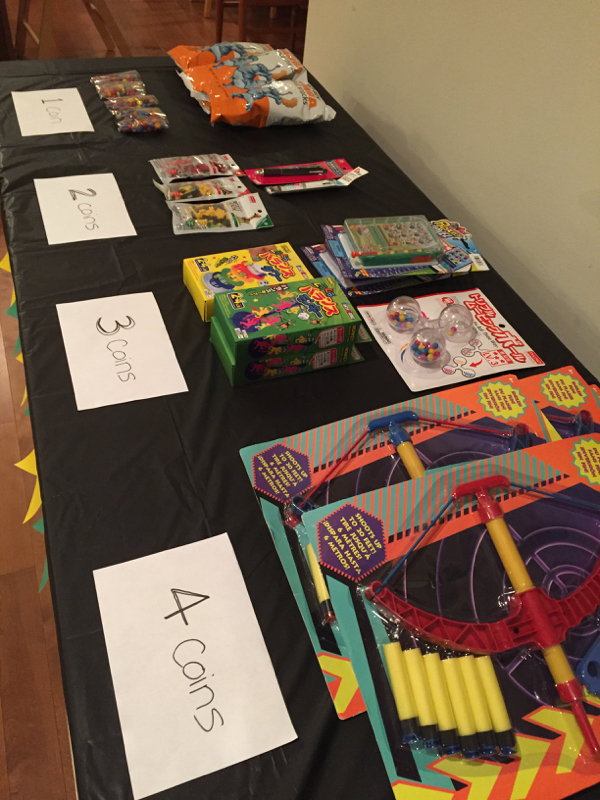 We had a "Game On" birthday party for my son's 10th birthday celebration. 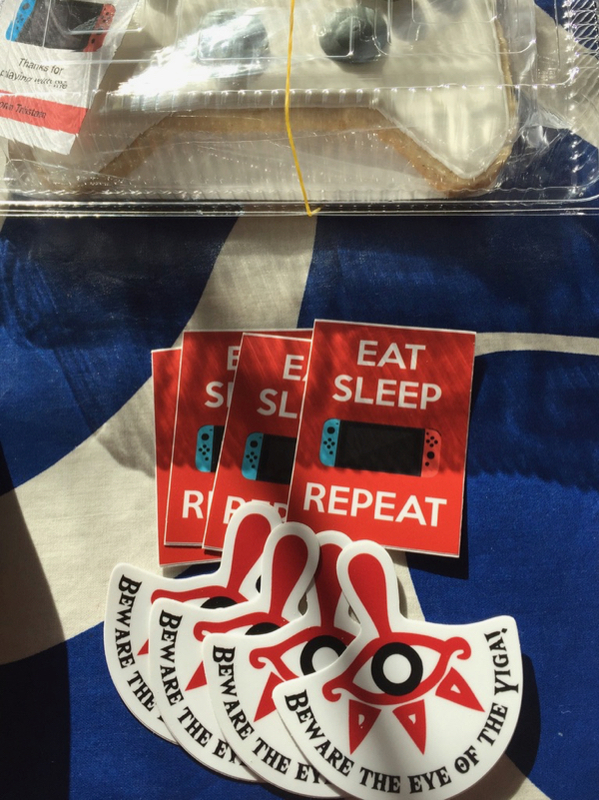 But there was special emphasis on The Legend of Zelda, Breath of the Wild since that is his favorite game at the moment. 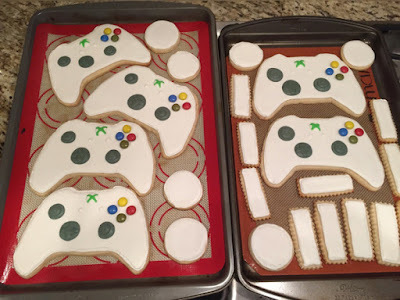 As a party favor, I made white Xbox Controller lemon sugar cookies. They're the most attractive controller and this way I could keep the royal icing mostly white. I made them giant size and had to support them with cardboard underneath. I used a clear plastic container for packaging as well. 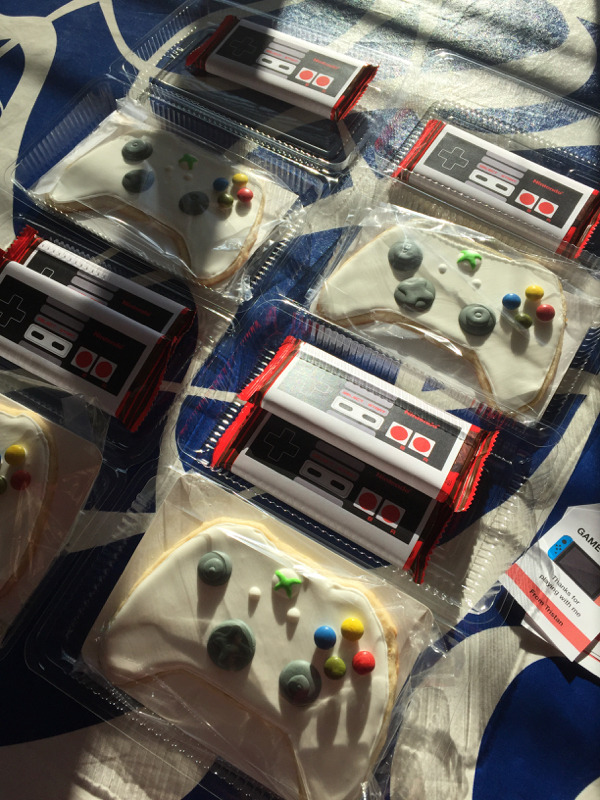 They were really simple cookies but still looked cool. 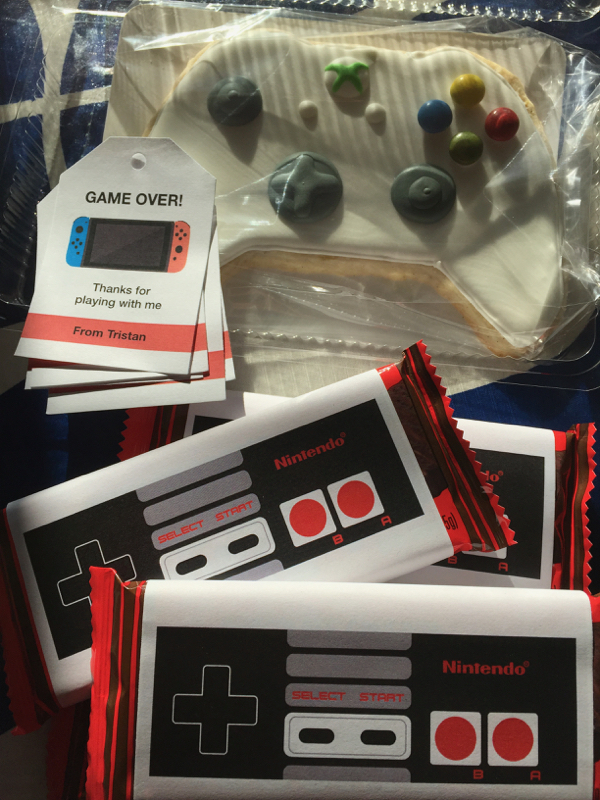 To avoid coloring more royal icing than I needed to, I used Trader Joe's candy coated chocolates for the colored control buttons. As a result, I really had to enlarge the size of my cookie for them to look right. I'm sure the kids didn't mind. 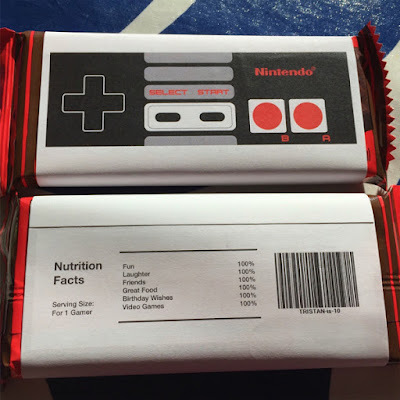 I bought Trader Joe's chocolate covered wafers (similar to KitKat) and made Nintendo wraps for them, which also included a back side for fun nutritional information. Did you know that you could get an actual bar code for any sequence of characters? 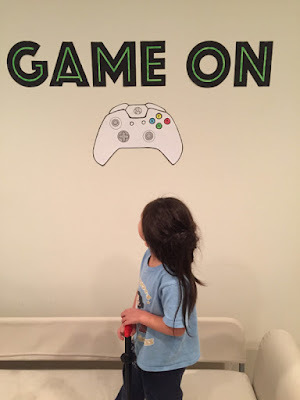 I generated one with my son's name and age. And then I felt like a nerd. The fake candy wrap treats never get old. I love creating them :) So easy and fun. 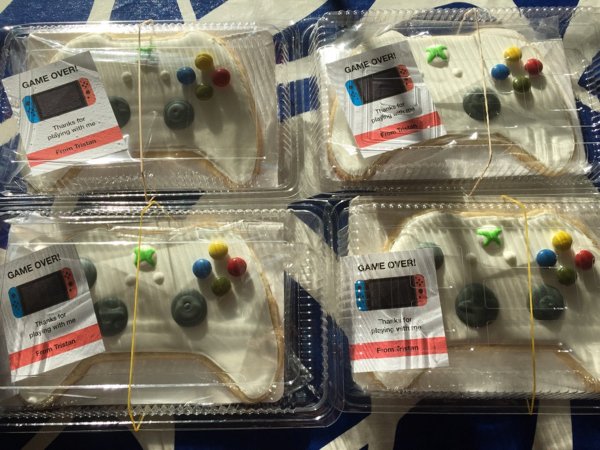 The kid's loot package included one Xbox controller cookie, one Nintendo chocolate bar, and two game stickers. But the kids took home more than that. We had a dance off and the kids earned coins based on their performances. 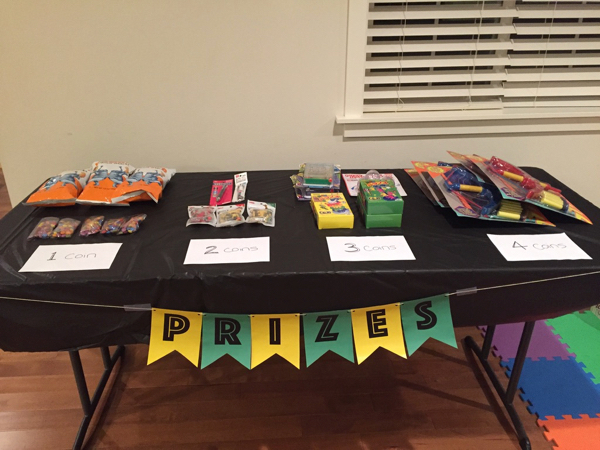 Afterwards, they used their coins to purchase small things at the prize storefront we had set up. The coins were chocolate coins from Trader Joe's so we allowed them to keep them too. 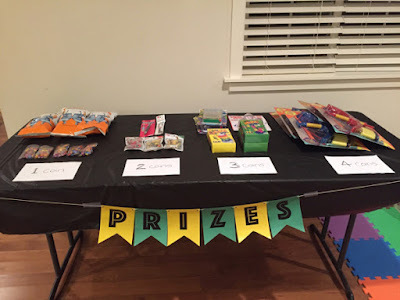 Purchase toys/candy using coins at the prize storefront.